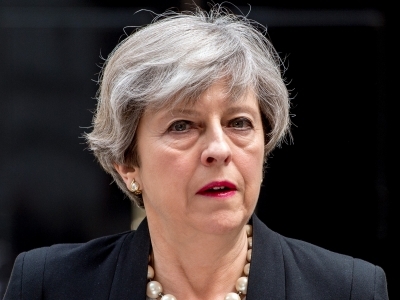 London July 12 (IANS) The British government on Thursday published the long-awaited white paper on Brexit seeking to create a free trade area with the EU. Prime Minister Theresa May said it delivers on the Brexit vote. The 98-page document titled "The Future Relationship between the UK and the EU" was published amid chaotic scenes in the House of Commons. It spelled out that workers from the other 27 EU member states will be able to travel to Britain visa-free to take up temporary employment the Guardian reported. It also stated that businesses that provide services will be able to move their talented people to and from Europe and Britain. Media reports in London said the white paper had been amended to soften the restrictions on Europeans coming to Britain after Brexit. Dominic Raab newly-appointed Brexit Secretary after the shock resignation of David Davis gave details of the proposals to MPs in the Commons. The release of the document sparked chaotic scenes when it became apparent that copies of the paper were not immediately available to MPs. He described the proposals as a "principled and practical Brexit" describing the white paper as "the most significant Brexit publication" since the referendum in 2016. Asked if there was a possibility of no-deal being struck between the EU and Britain Raab said every eventuality was being planned for but his aim was to see a future trade deal with Brussels. May said the document "delivers on the Brexit people voted for". But pro-Brexit politicians vowed to table amendments saying May s plan did not amount to Britain fully leaving the EU. It will see Britain leaving the European single market and the customs union. The Department for Exiting the EU said the document proposed "a free trade area for goods that ensured continued frictionless access at the border protected jobs and livelihoods and ensured Britain and EU meet their shared commitments to Northern Ireland and Ireland". Raab said the white paper outlined a vision that respects the result of the referendum and delivers a principled and practical Brexit. "It would maintain frictionless trade in goods between the UK and the EU through a new free trade area responding to the needs of business " he said. Tory Brexiteer Jacob Rees-Mogg said it was a "bad deal for Britain". EU s chief negotiator Michel Barnier said he would analyse them (proposals) with the European Parliament and member states and was "looking forward" to negotiations with the UK next week.